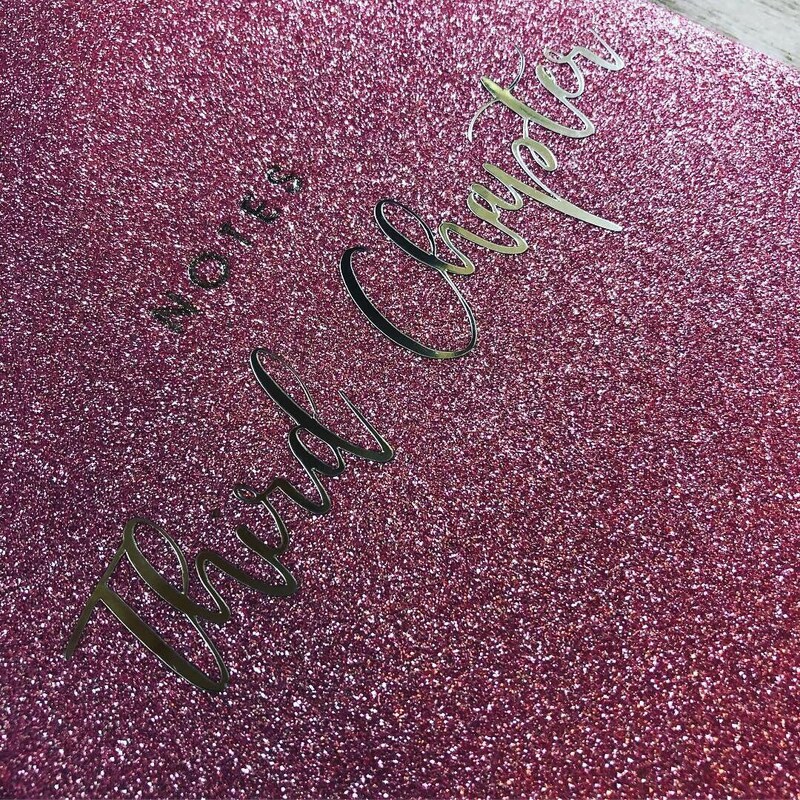 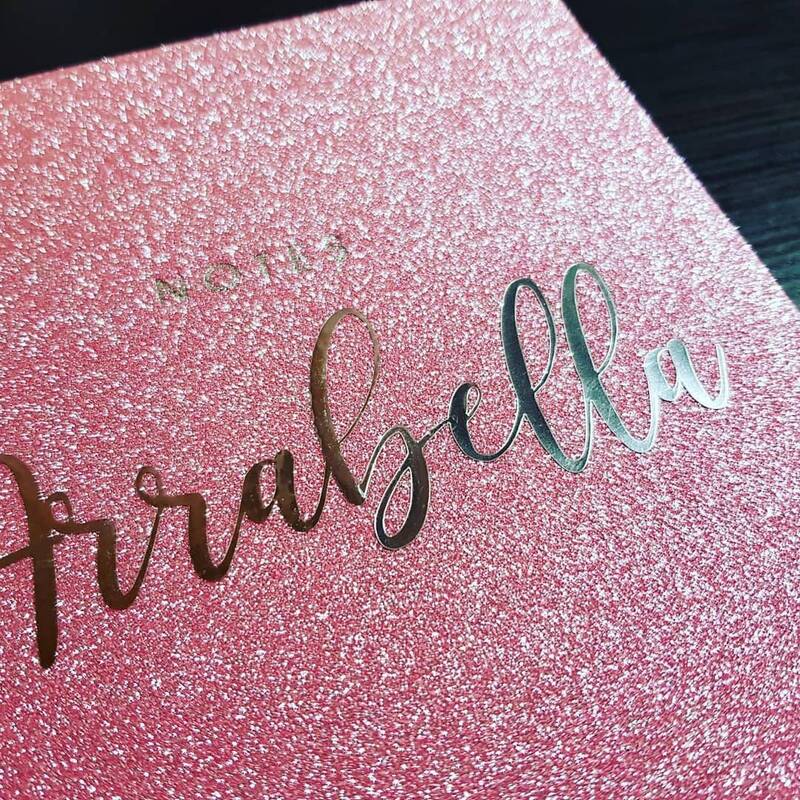 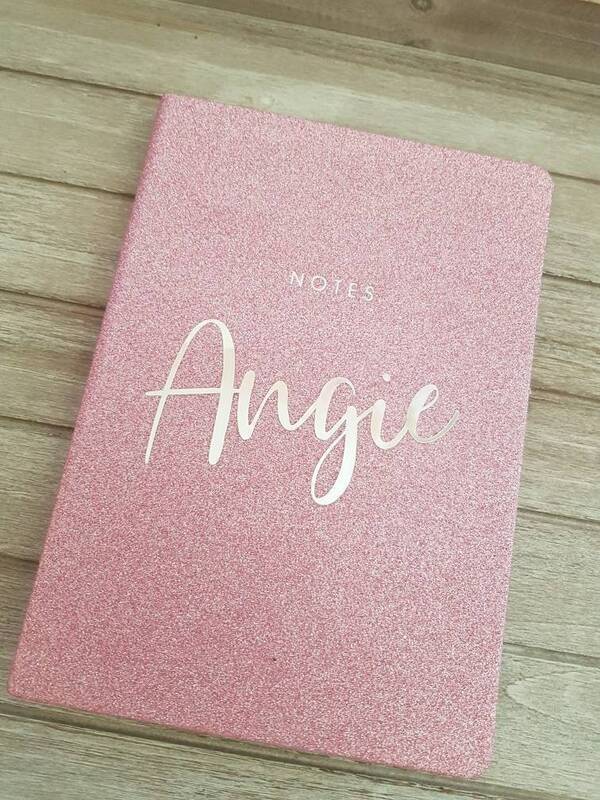 Exquisitely designed personalises A5 notebook available in Pink Glitter finish with Silver font personalised to your wording. 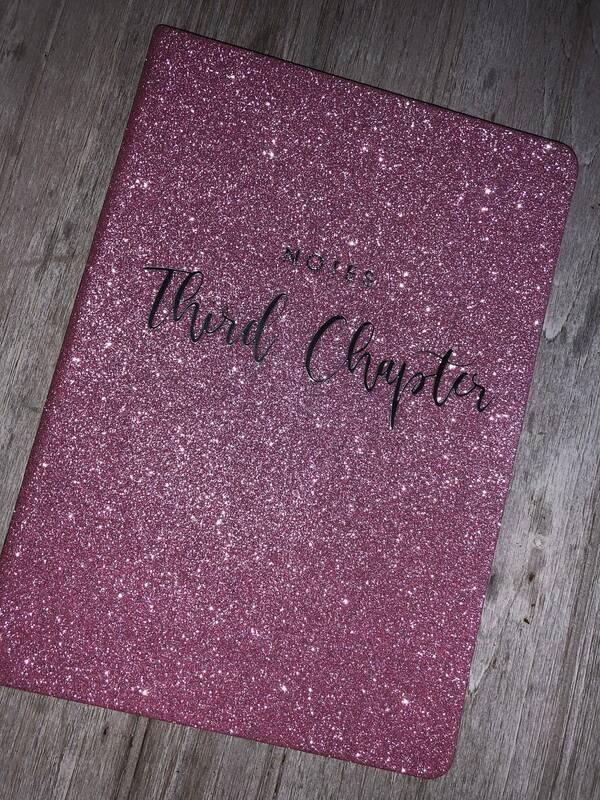 A perfect gift for the avid writer, teacher, wedding parties or for that someone special. 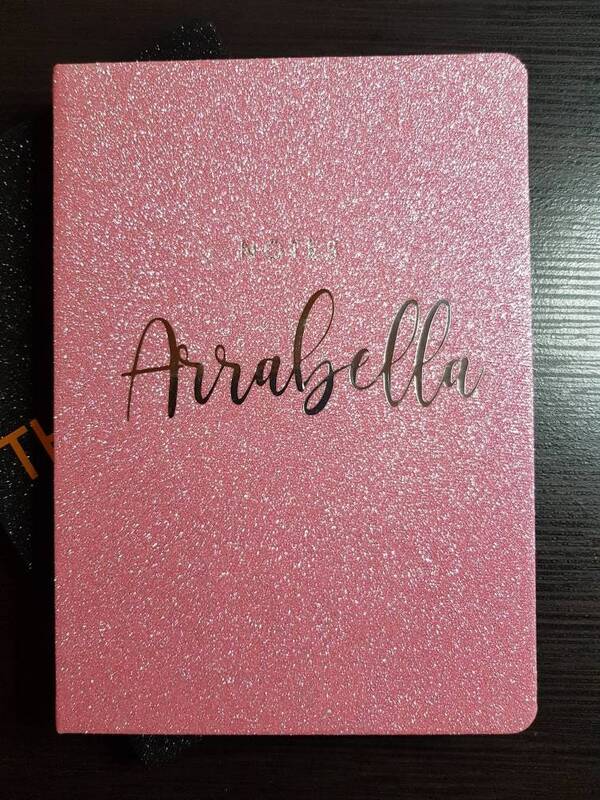 96 pages in total.